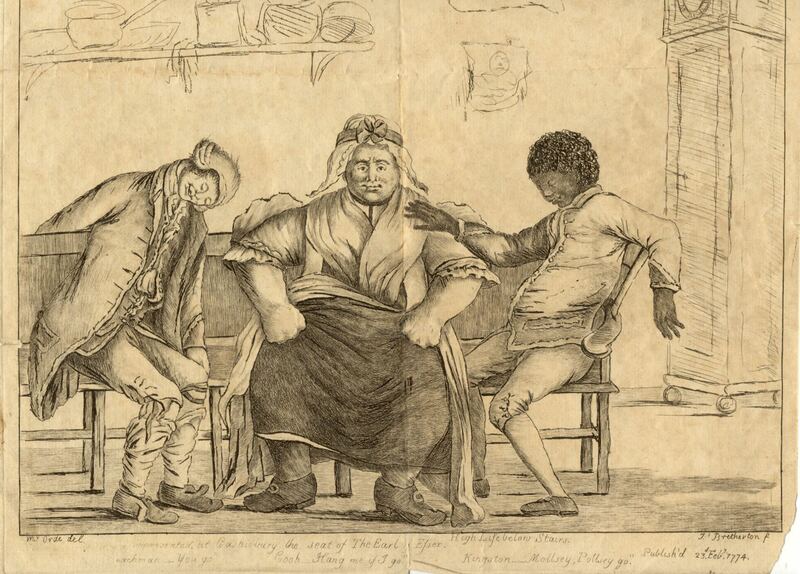 An engraving of servants at Cassiobury from 1774, perhaps offering satirical comment on their masters' behaviour. This engraving of servants at Cassiobury entitled ‘High Life below Stairs’ was published in 1774. Although the picture appears to show a black servant relaxing with his fellow workers, its contemporary meaning may have been a little different. The servants are shown enjoying the ‘high life’, but the intent of images such as these was often to offer satirical comment upon the behaviour of the masters.